Is Your Gut Canceling Out Your Efforts To Regrow Your Hair? Your gut acts as a barrier which lets in all of the good stuff - vitamins, minerals, and broken-down food - and it keeps the bad stuff out, such as endotoxins and insoluble fiber. Gut health plays a crucial role in nutrient absorption, immune system regulation, and detoxification. 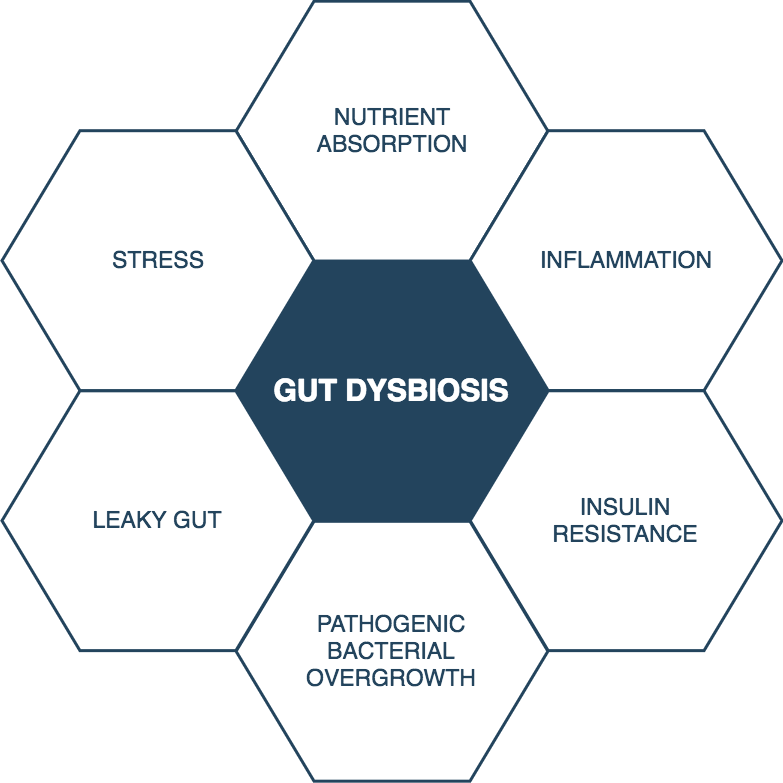 What most people don't realise is that the Western diet and associated lifestyle can wreak havoc on our gut health, causing a state that's known as dysbiosis. When this happens, the result is inflammation weight gain, insulin resistance, brain fog, depression, and anxiety. It can even cause hormonal imbalance, such as hypothyroidism. This in turn leads to decreased peristalsis, and as a result, constipation. This can then lead to gas, bloating, and bacterial overgrowth that may result in diarrhea. Not only are these symptoms unpleasant, but gut dysbiosis also affects the health of our hair. And all three of these can cause your hair to become thin, brittle and lifeless over time. 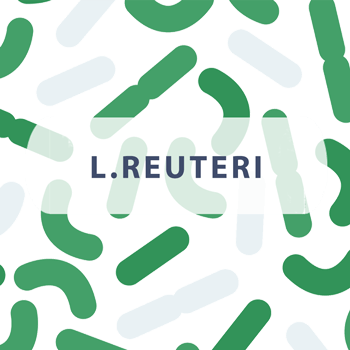 In fact, more and more research is uncovering the link between the state of our gut and a host of associated illnesses and diseases (source). 100 years ago this wasn't an issue because almost all food was organic, locally-produced and free of pesticides. However, this simply isn't the case anymore, with the result wreaking havoc on our gut and our overall health. I hope by now it's clear that something needs to change in our diets and lifestyles, otherwise the result is chronic gut inflammation and the diseases that go with it. 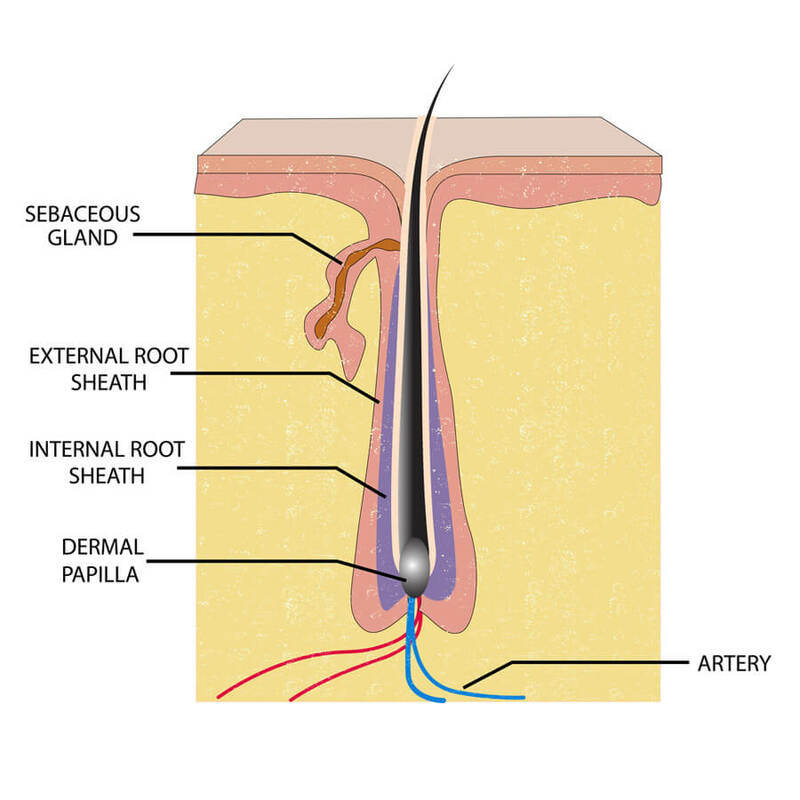 Now you know how gut dysbiosis can cause hair loss what can you about it? And opt for strains that are particularly beneficial hair growth. A probiotic supplement you can trust to restore gut health, soothe inflammation and maximise nutrient absorption. You're probably exactly which strains we've picked and why we chose them. The six probiotic strains are listed below. Which Strains Are Included In The Probiotic Supplement? If for any reason you don't like the product we've made it incredibly easy and straightforward to ask for a refund. No quibbles, just a simple and honest 180-day 100% refund. Why Is The Probiotic Becoming A Staple In So Many People's Hair Loss Regime? Everybody knows the kind of hair that looks and feel thin, especially when wet. 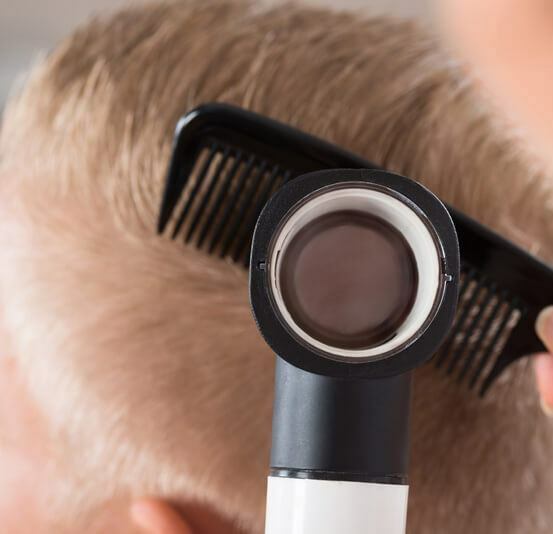 For men this is most apparent around the hairline, for women, hair loss occurs all over in a diffuse pattern. That's exactly why we created this supplement, to support thicker, stronger hair. With your gut working as it should your body will be able to absorb more of nutrients and minerals from your diet. This will help to minimise deficiencies so your hair can grow much faster. The gut regulates many of the processes and systems that are critical to your health. So when your gut is restored to health you will likely notice improvements not only in the quality of your hair, but also mood, energy, and even libido. Overnight success! 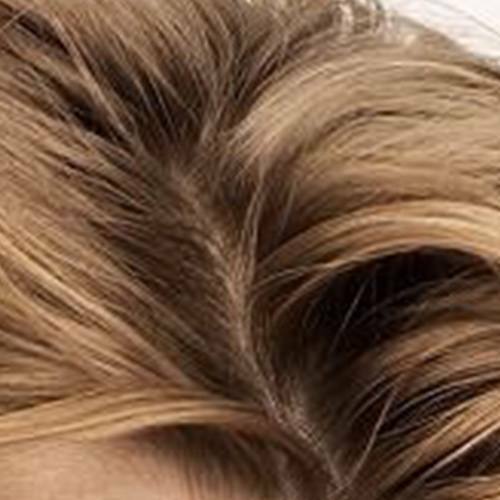 Healthy, thick and strong hair needs time and nutrients to grow. Old thin hair is replaced slowly by new healthy hair. Other factors also come into play. Miracle cure! The Probiotic is designed to restore gut health, which in turn helps with hair growth. It is not a miracle hair loss treatment. Comes With Our 180-Day, 100% Money-Back Guarantee! Buy with confidence! If for any reason you don't like the Probiotic Supplement you can simply to ask for a refund. No quibbles, just a simple and honest 180-day 100% refund if you decide it's not for you. We believe in our products, and we know refunds are rare because people typically see an improvement after one bottle. One bottle will last two months when taking the recommended one capsule per day. No. The Probiotic Supplement can be used without a medical prescription, although it's always best to consult with your MD before starting a new supplement. Is this a unisex product? Are there any side effects of taking the Probiotic? Our probiotic is a blend of strains that are widely used, so side effects are rare, but can include bloating, gas or diahorrea during the first week. If such symptoms continue for longer than one week, or any other unwanted side effects are experienced, then we recommend consulting with a medical professional immediately to see if the Grogenix Probiotic is right for you. Yes, we ship internationally to Europe, U.S. Canada, Australia and New Zealand. It varies for everyone, but after two months you should be able to assess how well the probiotic is working for you. International delivery takes 5 - 18 days. We ship from the UK. If at any point you are not satisfied with any of your purchases from Hair Loss Revolution then you have 180 days to request a refund. Simply email will (at) hairguard.com to make your request. All we ask is that you pay for shipping the product back to us. As soon as it reaches us then we'll issue your 100% refund. Payments are made through secure third party providers using Stripe and PayPal. Will I be billed any recurring payments? No. All orders placed are one-time orders. There are no recurring payments or subscriptions. Your payment details are not stored. The statements contained herein have not been evaluated by the Food and Drug Administration. The Probiotic Supplement is not intended to diagnose, treat, cure, heal or prevent any condition or disease. Nothing contained on this website is intended as medical advice. If you have any questions about whether the use of this product is appropriate for you, please seek the advice of a health care professional prior to use. The information provided on this site is for informational purposes only and is not intended as a substitute for advice from your physician or other health care professional or any information contained on or in any product label or packaging. You should not use the information on this site for diagnosis or treatment of any health problem or for prescription of any medication or other treatment. Individuals differ, as will results from our products. Please see our full disclaimer here. Our products are developed using scientific principles and as a company we base our decisions on scientific evidence. Nowhere is this more obvious than in our product range where ingredients are only added based only on their proven ability to support healthy hair. When you buy online you never really know what you're going to get in the mail. We want to take all the risk off you, & put it on us, so you can buy with confidence. That's why all our products come with a 180 day, 100% money back guarantee so you can try our products for 180 days to make it's right for you.